I love thrift stores and puzzles. I found this great puzzle at a St. Vincent De Paul's in Madison the other day. To find a location near you follow this link: Find Store Now! 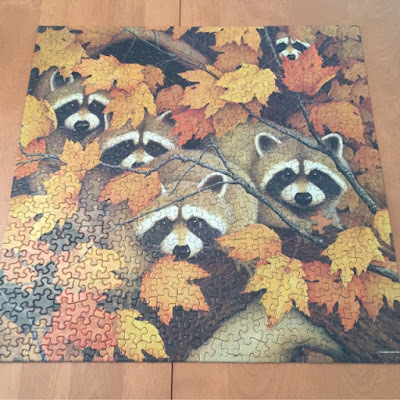 It's my favorite kind of puzzle made by Springbok and it only cost 40 cents! The puzzle pieces are never the same shape and they interlock together so well that you can pick the whole puzzle up without it falling apart. If you find these the older vintage ones, they have printed on the back of the box either a little story or a poem about the picture. It's that little added detail I love about Sprinkbok.